I've always wanted to have legit ash hair, not exactly gray or silver hair but that light brown hair with an ash shade. I find it just so hard to achieve that, first, because black hair that's been bleached tends to have orange or yellow undertones that makes it look brassy and second, because you can only get ash hair when done professionally. 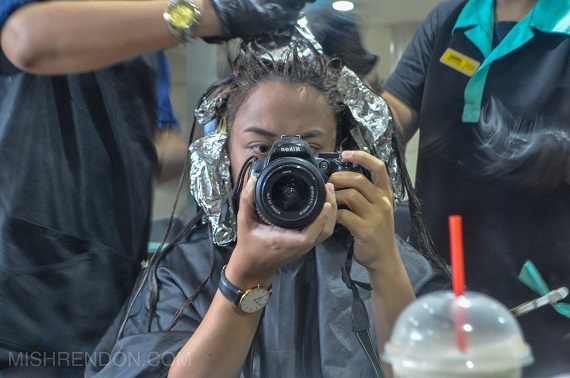 When I was invited to Retro Salon in Fairview a few weeks back, I was only expecting to take a peek at the salon for a feature. Little did I know that I would get my dream hair color that exact day. I am no pro when it comes to deciding on what shade would perfectly suit me so I was thankful that their senior stylist, Ms. Rose, had something solid in mind. I would actually settle with ash brown hair but she thinks it would look better it I get highlights. My only request was that I hope the latter would be subtle. The first part of the entire process was foil highlighting. 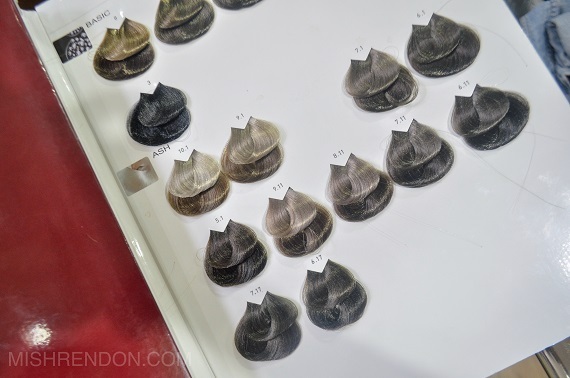 They manually (and tediously) separated small portions of hair and placed developer on it. 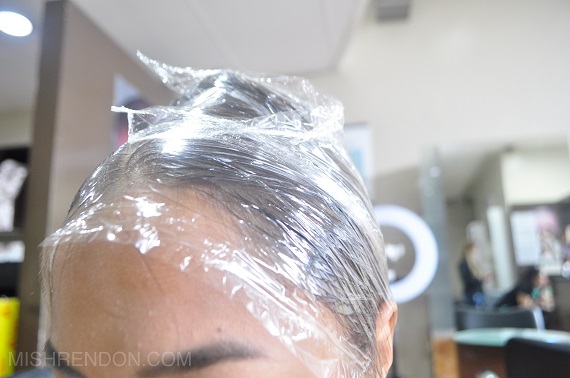 They wrapped it in aluminum foil to make sure that it won't affect the rest of my hair because it would surely make the hair much lighter. It was set for 15 minutes before heading to the second step. While waiting for the highlights to become as light as the intended it to be, they applied ash hair dye to the rest of my hair. This makes the whole process a lot faster since it's like hitting two birds with one stone (highlights and hair color at the same time) . They didn't added hair color to my roots yet though because this part tends to lighten the fastest. They used Loreal Majirel for my hair color. I have super long hair so it was quite a work to apply the products on my hair. At this point, there were three of them that needs to work on my hair. They have quite a number of stylists and staff so when such situation happens, they have the ample number of people to work on their clients even on a busy day. After 20 minutes, they applied the rest of the hair color at my roots. 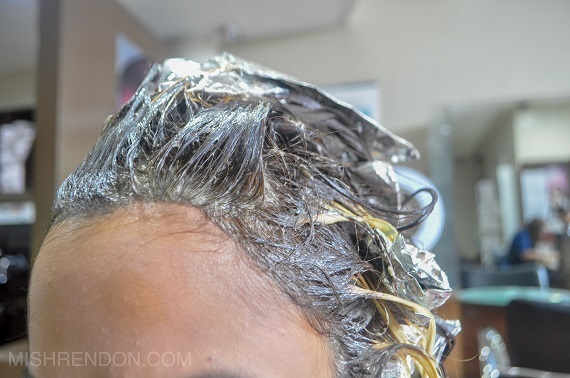 I suggest you allot ample time if you want to have highlights and treatment made because it's gonna take a while. 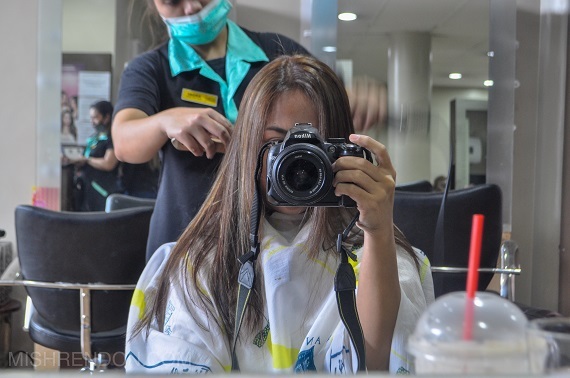 While waiting, you may make use of their magazines or just engage in a conversation with your stylist. They're super friendly! When the alarm went off, I was taken to the shampoo area to have everything rinsed. I have to be honest but I was quite shocked when I saw the bleached strands of hair that was supposed to be my highlights. I thought that was the end of it. But after they rinsed my hair, they applied gray hair color to my hair to give the highlights that ash tone. Although not really part of the hair coloring process, I had my hair treated. I know it's an additional expense but if you want to keep on coloring and dyeing your hair, this is a good investment. Coloring puts so much toll on the hair that it becomes brittle and dry. With treatments, you can repair your hair to keep it healthy and shiny. After another batch of rinsing, I had my hair dried and curled. When I saw my newly colored hair (even before I had my temporary waves), I was so in love! I wasn't sure how ash would look on me or how highlights would look on me, but both turned out awesome. Ms. Rose definitely know what she's doing here. I've been getting lots of compliments on my hair. When I got my curls thereafter, I wished they were permanent! The highlights stand out well with wavy hair. I like it also when I put my hair up and the highlights would peek on the sides. It's quite eye catching, but in a good way. By the way, my hair didn't dry up after the process. My hair remained straight and soft. I just use purple/non-sulfate shampoo and conditioner to maintain the ash shade. 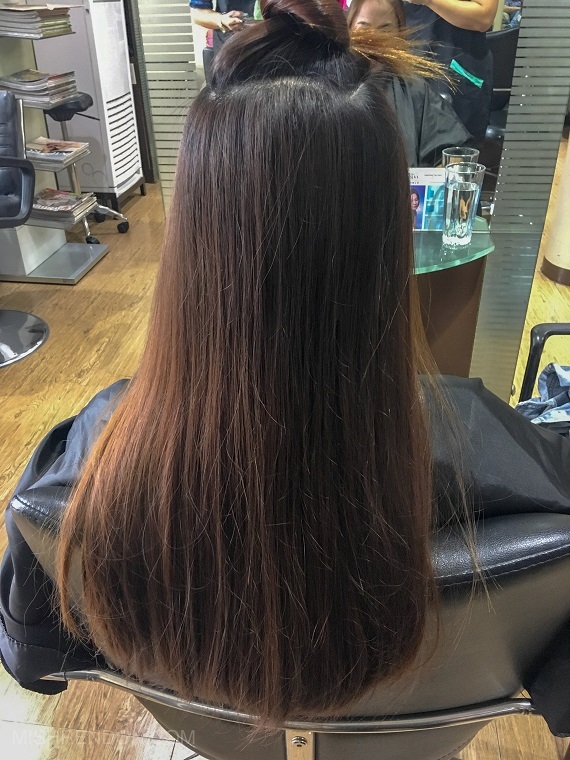 Price at Retro Salon varies depending on hair length. Prices start at P1550 and up for permanent Loreal hair color and P1050 and up for foil highlighting. If you have extremely long hair (like me) or thick hair, expect the price to be a tad different from the above mentioned figures. You can have your hair assessed before undergoing any procedure. And the figures that they will state during assessment is the final price so you won't get surprised after. You may visit Retro Salon Fairview at Angelenix House, Commonwealth Corner Camaro Street, Novaliches, Quezon City. You may call them at (02)9354436 or (0917)1460289 for more inquiries and to set an appointment. Don't forget to check out their Facebook page at https://facebook.com/MetroSalonFairview.